I finished three books up over the weekend. There were some late nights of reading and a lot of in-between patients and even a little at-the-bank reading. The titles were Huntress Moon and Blood Moon by Alexandra Sokoloff and Gone Tomorrow by Lee Child. I first came upon the first two after reading an entry on Joe Konrath’s blog a while ago. I downloaded Huntress Moon when the author was offering it for free, and then it sat on my Kindle for a while. Finally, looking for something different to start on the Kindle, I jumped into it. This was one of the better books I’ve read in a while. A perfectly-paced thriller which has great characters and plotting, the author pulled me in and made me want more – lots more. (I already downloaded the sequel, BLOOD MOON.) In this book, Agent Matt Roarke witnesses the apparent murder of one of his undercover field agents, and notices the woman who seemed to cause the death. 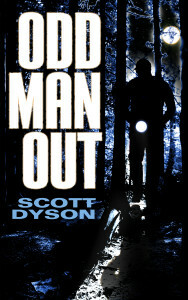 As he hunts for her, he connects her to two more murders – and the victims seem to be bad people. 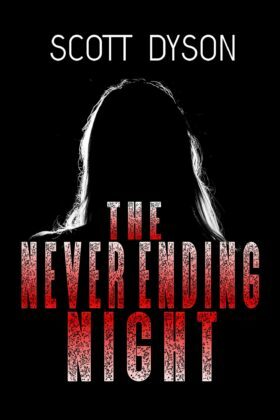 It builds to an exciting climax, and keeps the reader wondering just who this woman is, and whether she is as evil as the crimes attributed to her seem to indicate, or something else entirely. This book sat on my Kindle for a long time, and I certainly am glad I finally took the plunge and read it. As usual, it led to another purchase by this author, and I look forward to finding more out about Roarke and “The Huntress”. I haven’t reviewed GONE TOMORROW yet, but I have to say I did enjoy it quite a lot. It’s vintage Reacher — well plotted, a building intensity and urgency, and wholly plausible. Well, plausible in the sense that you could see it happening, maybe not that you buy the Reacher involvement. That was a pretty strong coincidence, but if you’re reading this type of thriller, you have to accept things like that. (Gotta get that main character into the action somehow…) I hit a spot that I couldn’t put it down. Wanted to pick it back up and find out how it ended. I’m on to 61 HOURS now. BLOOD MOON was more of the same from Sokoloff. 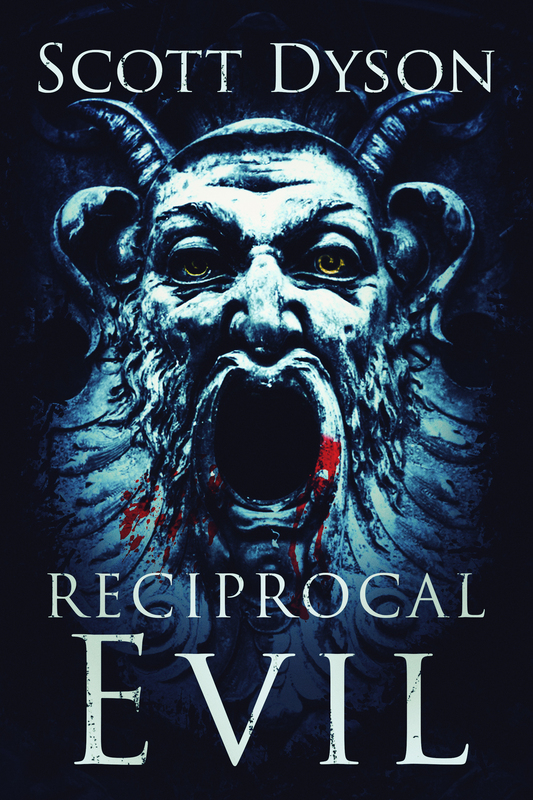 Her main character, Roark, decides to try to smoke out the Huntress by investigating the original serial murderer that made her what she has become — the Reaper. They decide to find a crime that has some similarities, a family homicide (familicide) and pretend that it’s a crime linked to the Reaper. Trouble is, it quickly becomes apparent that the crime IS actually linked to the Reaper — he’s back and he’s killing again. He’s gotten a little better, learned a few tricks to disguise his crime scene, but it quickly becomes obvious to the experts what’s going on. This one was just as tense and exciting as the first book, and I can’t wait to find out where the author goes with the next one. I’m not going to link to these books; they’re all easy to find on Amazon. Child’s book was a remaindered hardcover. There are usually a few remaindered HC’s of his books around. 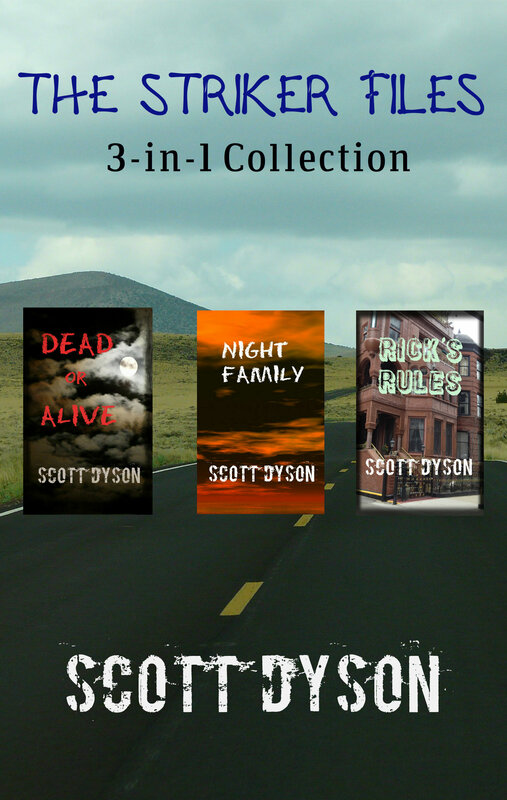 But they’re all worth reading, especially if you’re a fan of the thriller genre, as I am. This entry was posted in Uncategorized and tagged Alexandra Sokoloff, book review, fiction, Lee Child, thriller on September 16, 2014 by Scott Dyson. 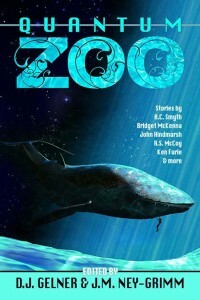 The 12 story anthology QUANTUM ZOO, which contains my story “Playing Man”, is free starting today and going through Saturday! 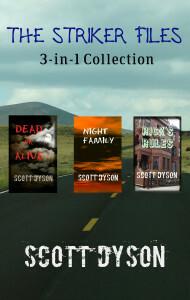 This entry was posted in Uncategorized and tagged Amazon, anthology, ebooks, new release, Quantum Zoo, Scott Dyson, self-publishing, short stories, short story collection on September 11, 2014 by Scott Dyson. It’s priced at $2.99 in the Kindle store and is available at this link: THE STRIKER FILES 3-in-1 Collection. This entry was posted in Uncategorized on September 7, 2014 by Scott Dyson. 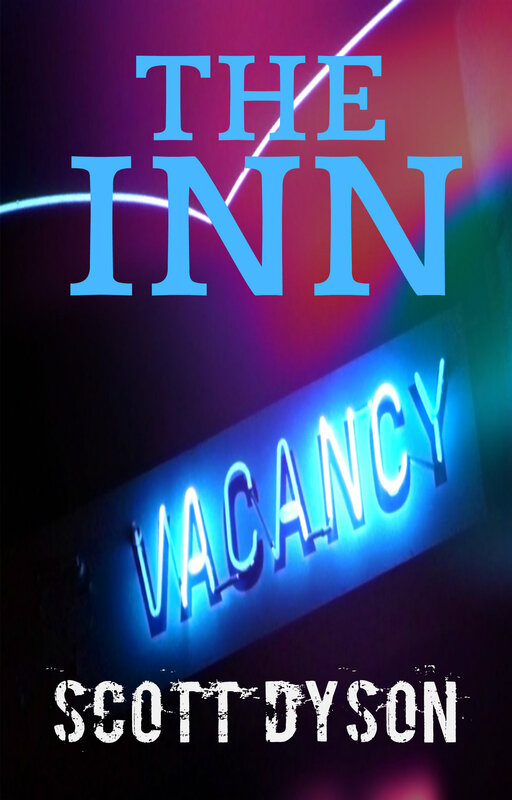 Most of what I’ve published so far is short fiction. The longest is a three story series, coming in at about 24K words. The stories are roughly 7K, 8K and 9K, and they’re all about the same story but told from different points. 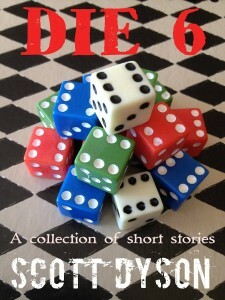 The longest short story I’ve put out there so far is THE GHOST TRAIN, part of the DIE 6 collection. It comes in at something over 10K words. But I’ve been working on longer stories. And I finished my fourth over the weekend. This is not to say it’s ready to publish. It isn’t. None of the four are. But the story is complete. Those are all just working titles, obviously. I’m not great with my titles. But 45K is short-novel length, right? 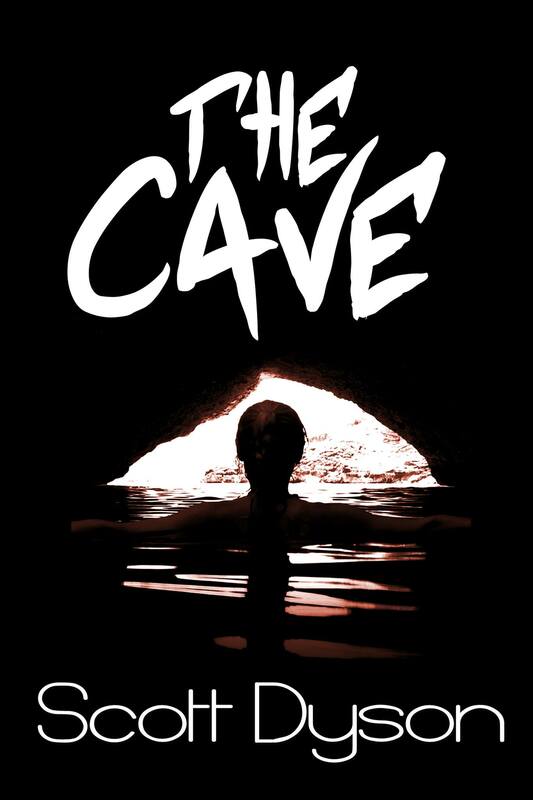 I’m thinking of combining THE CAVE and THE NEVER ENDING NIGHT into one novella-collection, then putting the other two out individually. 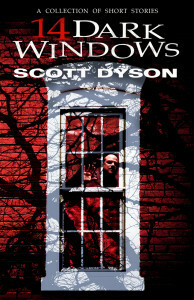 This entry was posted in Uncategorized and tagged Deadlock Press, ebooks, fiction, horror, novellas, novels, Scott Dyson, self-publishing, work in progress, writing on September 2, 2014 by Scott Dyson.